Browse: Home » Police, Fire or Ambulance? In an emergency we expect our 911 call to be answered in seconds, but we rarely consider what makes this response possible. At the corner of Hastings and Cassiar sits an unassuming concrete building that masks the complexity of the operation inside. Known as “E-Comm”, it is the hub of BC’s emergency response operation. E-Comm receives about 3,900 calls to 911 each day. That’s about 92 per cent of the province’s 911 call volume. And E-Comm answers about 98 per cent of those calls in five seconds or less. The E-Comm facility is built to withstand a 7 point earthquake and provide power, fuel and water to its 500+ employees for up to 72 hours. However, the volume of 911 calls and demands on police, fire and ambulance personnel would escalate, so it is crucial that callers dial 911 only when lives are at stake! Don’t use 911 as an information line when a disaster occurs. Instead, stay off the phone altogether to prevent phone network overload, and look for information on radio, television and online resources. Helpful advice on preparing for an emergency can be found at www.ecomm911.ca. 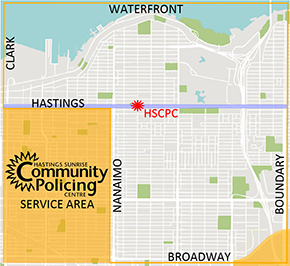 E-Comm is also home to some of southwest B.C.’s non-emergency Police, Fire or Ambulance lines for police and fire agencies. Educating the public in distinguishing an emergency from a non-emergency is an important part of ensuring important lifelines are kept free for those in real emergencies. 911 calls require a “yes” to at least one of the following questions. • Is there an immediate threat to a person or property? • Is a serious crime in progress or has it just occurred? • Does a crime seem imminent because you see suspicious activity? If you can’t say “yes” to at least one of the questions, you should use the non-emergency line to report. Using 911 for a non-emergency means you are taking up valuable resources that need to be put to real emergencies. With many BC residents speaking languages other than English, E-Comm can provide service in more than 170 languages. The only requirement is for the caller to be able to say the name of the language in English such as “Arabic” or “Cantonese”. Other helpful words to know in English are “police”, “fire” and “ambulance”. It is key to educate family and friends who struggle in English in the word for their language. The future holds even more options for 911 service. 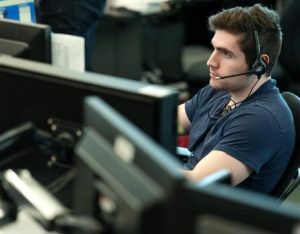 By the end of 2020, the telephone network infrastructure that supports 911 call centres is to be text ready, so that in the future, 911 call centres will be able receive emergency calls via text message in serious situations like domestic assaults where a voice call is simply not possible. Beyond that, the redesign of 911 network infrastructure across North America could result in 911 centres being able to receive photos or videos that could help first responders en route to emergency scenes.